Recently, the kids and I have had lots of fun trying to identify interesting features using OS Maps of our local area. It is amazing just how much of our history is recorded within maps, we have even discovered there is a site of a castle just a couple of miles away from our house, which we never knew was there. One site that the kids have been really keen to visit since they spotted it, is Cirencester Amphitheatre – the aerial photo below is a screenshot we took while using OS Maps aerial view, and as you can see it looks a really impressive feature from above. Cirencester Amphitheatre is a scheduled ancient monument which was located just outside the Roman walled city of Corinium, and is thought to have been built at the beginning of the second century. The second largest city in Roman Britain, Corinium had a population of over 10,000 people and is believed to have been a very fine Roman town indeed, with an array of large public stone buildings, two market places, and numerous shops and private houses. Thought to have been a centre for both stone carving and the mosaic industry, archaeological evidence also suggests that bakers, glass makers, blacksmiths and goldsmiths all worked within it’s walls. 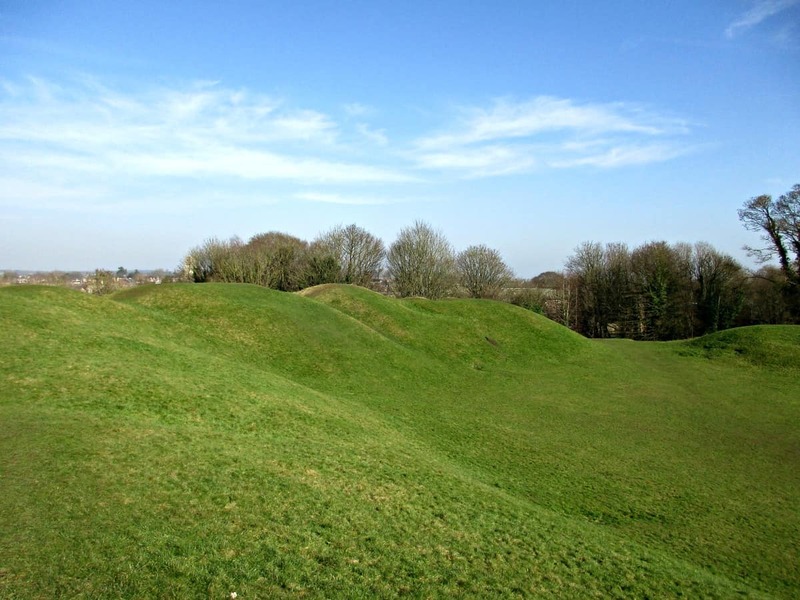 Found on the outskirts of the Cotswold town of Cirencester, the massive earthworks of the amphitheatre include banks 25 foot high, and it has been estimated that the structure held 8,000 spectators when it was in use. 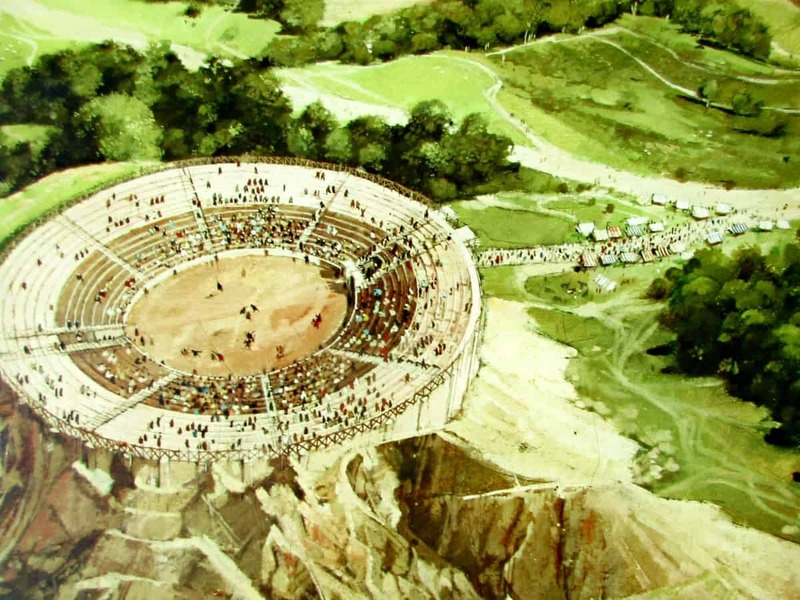 The artistic impression below is from the information board at the site, and is of how historians think the amphitheatre might have looked when it was in use. And this is what you can see on the ground today. That looks like such a beautiful place! I love that they have a woodland area for exploring nearby. Fantastic! I need to check out what local historical places are around me. Also, going to my first foraging class tonight! So excited! What a spectacular place to visit Sarah. I can only imagine how big it must have been. And to think that it was that old… standing on history indeed. You must be walking on ancient history all the time Mary in beautiful Greece. My kids absolutely love Greek mythology, my son seems to know everything about the Greek gods and who ate/threw up/married/tricked whom! Great right up on the amphitheatre and Querns Wood. I live near there and love going for walks around the area.